“We have to go back from two years to four years. 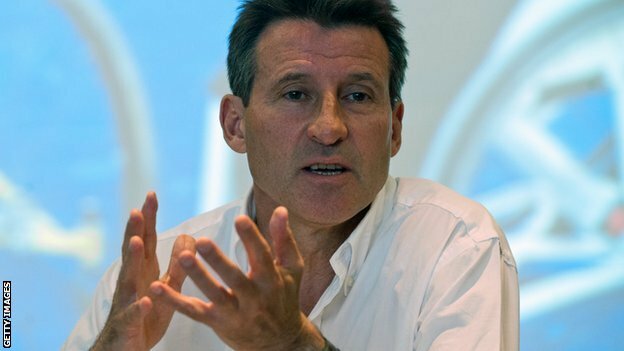 The move down to two did a lot of damage to my sport,” Lord Coe told BBC Radio 5 live’s Sportsweek. While the 1500m gold medallist from Moscow 1980 and Los Angeles 1984 does not believe trust in the sport has completely evaporated, Lord Coe is concerned people are losing faith in athletics. “It is depressing. Trust sits at the heart of this,” said Lord Coe, who is also vice-president of the International Association of Athletics Federations (IAAF). “I don’t think trust is gone entirely, but it was a bad day for the sport. The big challenge here is to go on fighting, this is not a fight we can afford to lose. Lord Coe believes that athletes are currently taking risks by cheating as the two-year ban does not take enough time out of their career to be a deterrent. But the London 2012 organiser and current British Olympic Association chairman knows that lifetime bans are not possible. The BOA, before Coe was elected chairman, had a policy of banning any British athletes from competing in Olympic Games for life if they had previously failed a drugs test. However, in April 2012 the governing bodylost its battle with the World Anti-Doping Agency (Wada) at the Court of Arbitration for Sport (Cas) to keep the policy. “If I could bring lifetime bans in I would,” said Lord Coe. “The legal inhibitor to be able to do that is profound. We are not going to be able to have life bans, they would be challenged and when we have done it we have lost.